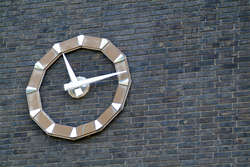 Research-informed advice and resources for time management at university. To help you work out the tasks you need to do, and how much time you can allow for each, try this interactive assignment planning tool from the University of Kent. Successful study at university isn't just about knowing how to write an essay or pass an exam – to do these things as well as you deserve you have to find a way to manage all the different demands on your time. That could include not only academic work like lectures and seminars, presentations and research, coursework and revision, but also paid work and time for fitness, fun, friends and family. In this section you will find guidance and resources to help you plan your workload, get organised, and make more effective use of the time you have.